A trusted, innovative consulting partner. 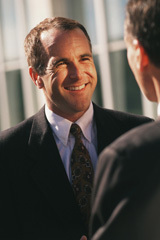 Our outstanding reputation for consulting services is our most powerful calling card. That's because our consulting services are anything but ordinary. • Strategic Management – Even the most carefully crafted strategies are worthless unless expertly executed. • Leadership Development – We build whole leadership systems. Or help one person at a time. • Organizational Development – Improve your return on intangible investments with our structured OD processes and tools. • HR Management – See our list of 16 services and a whole series of HR workshops, too. • Performance Improvement Solutions – We know how to align your organizational goals and employees’ performance. • Career Development – Add value to your business through our strategic systems approach, software and innovative tools. • Change Leadership – We'll help you to measure and monitor progress along the sometimes rocky road of change leadership. • Chief Learning Officers (CLOs) – We are THE pioneers in creating and clarifying this exciting new role in learning leadership. • Business Process Improvements – Fix and measure what matters. We systematically determine which internal processes are broken and cost-effective solutions. • Succession Planning Consulting – We'll design a succession plan that is unique to your needs and culture, and help you to integrate it with daily operations. • Knowledge Management – Transform knowledge into wisdom and your organization into a cash-flow knowledge community with our practical strategies. • Talent Management – Expert services to define successful business performance when hiring, developing and promoting employees.